Gaiola! @ Teatro Odisséia (Lapa) – Featuring the best Carioca funk DJs of the moment, an open stage for the best dancers, free popsicles and frozen shots, plus much more, ‘Gaiola!’ at Lapa’s nightlife hotspot Teatro Odisséia is bound to be a wild start to the weekend. 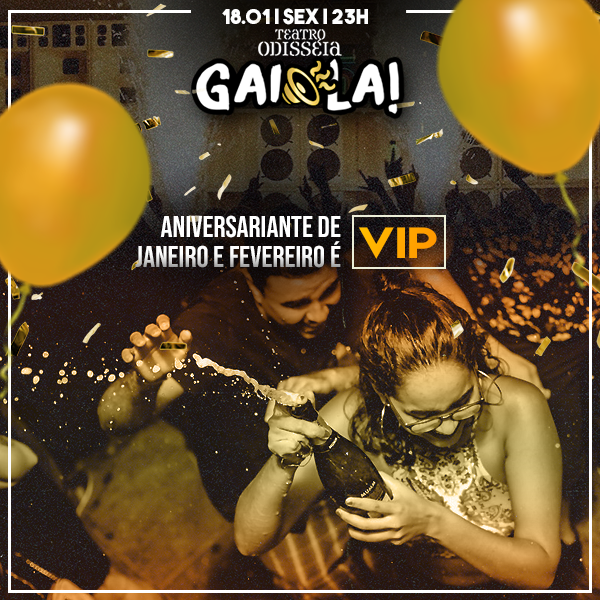 Confirmed DJs so far are Ian Garcez (resident) and Anderson America (puff puff bass / baile da pesada). 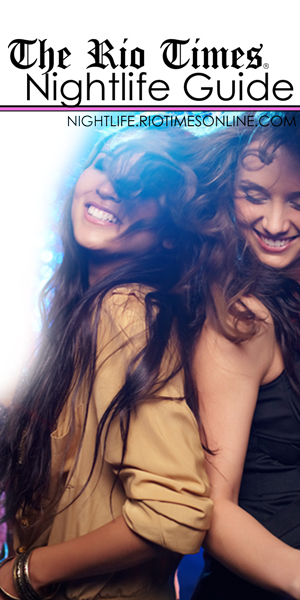 Tickets are between R$10 – R$100 and the night will kick off at 11:30PM. 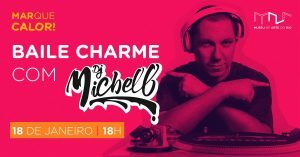 Baile Charme @ Museu de Arte do Rio ‘MAR’ (Centro) – This Friday, the ‘Museu de Arte do Rio’ (Rio Art Museum) will host the Baile Charme party with DJ Michell, resident and producer of one the biggest parties in Brazil, Viaduto de Madureira. Tickets are between R$5 – R$10 and the evening begins at 6PM. 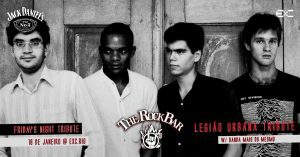 Friday’s Night Tribute presents: Legião Urbana @ The Rock Bar (Jardim Botânico) – This Friday, The Rock Bar will be dedicated to honoring one of the most successful Brazilian rock bands: Legião Urbana. The band ‘Mais do Mesmo,’ already well-known at the Rock Bar, will be playing all of the band’s biggest hits with plenty of sing-a-longs guaranteed. Then it’s the turn of DJ Careca to play all the best rock ‘n’ roll tracks until the early morning.